Next: Holiday Treat #1: Mint Oreo Hot Chocolate Cookies! 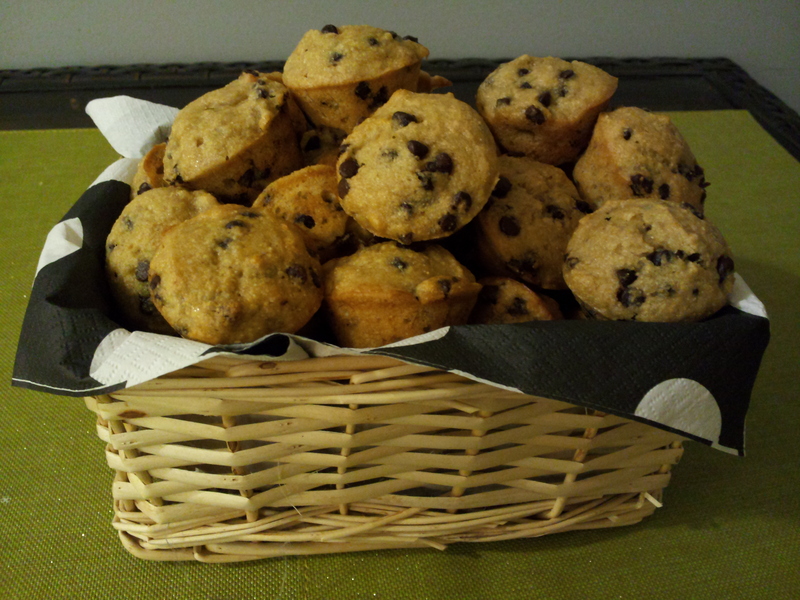 Mini Banana Chocolate Chip Muffins! YUM! I love making these, and anything with banana. It’s quick, easy, and healthier than some other baked goods! I use applesauce instead of the butter and 100% whole wheat flour. 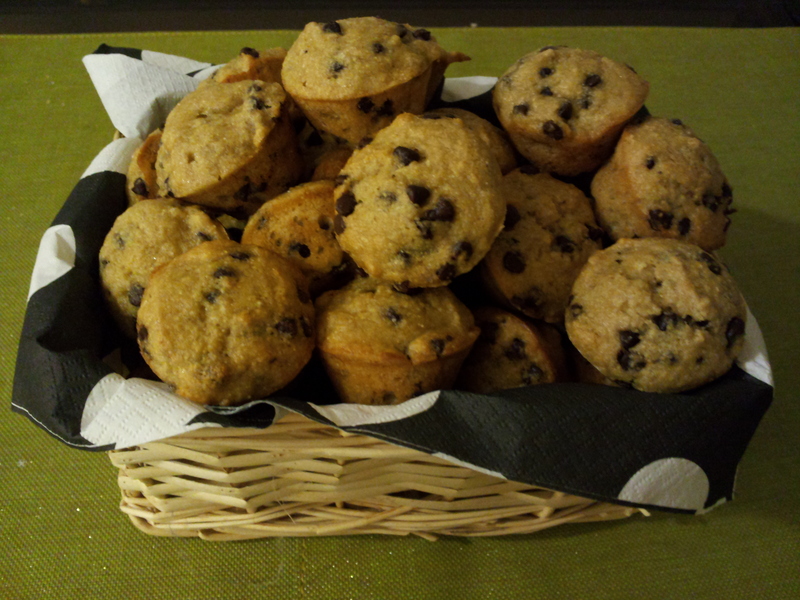 I wouldn’t say they’re “healthy” (they have chocolate chips), but relatively healthy compared to other things! I love the minis too! Just pop ’em in your mouth–perfect size! Try them out and tell me what you think! 1) Preheat the oven to 375 degrees F. Grease 2-4 dozen’s worth of mini muffins pans. 2) In a medium-sized bowl, whisk together the flour, sugar, baking powder, baking soda, and salt. 3) Add in the eggs, mashed bananas, and applesauce. Use a spatula to lightly fold the wet ingredients into the dry ones. When almost all of the flour streaks are gone, fold in the chocolate chips. Mix until well combined. 4) Scoop the batter into the mini muffin pans, filling 2/3 full. Bake in preheated oven for 12-15 minutes, until lightly browned. 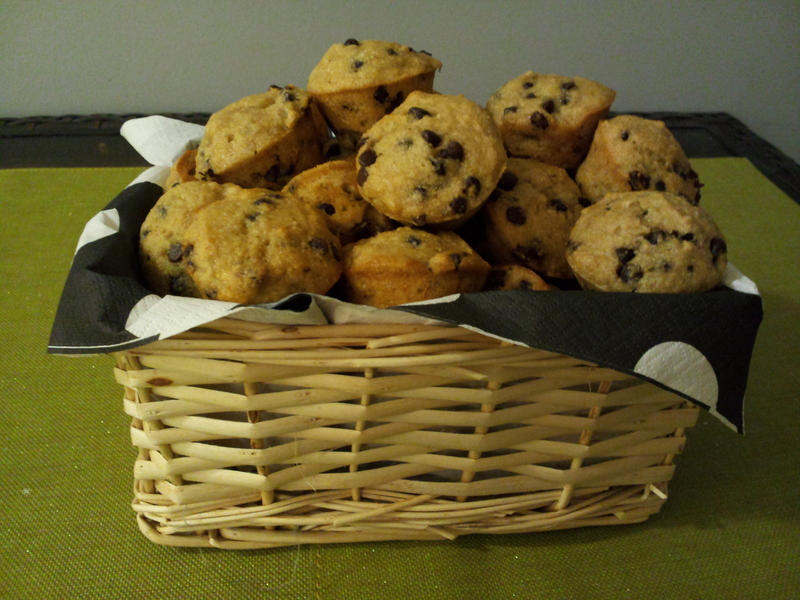 5) Cool in the pan on a baking rack for a few minutes, then remove the muffins from the tin to cool completely. OR, serve them warm! YUM!